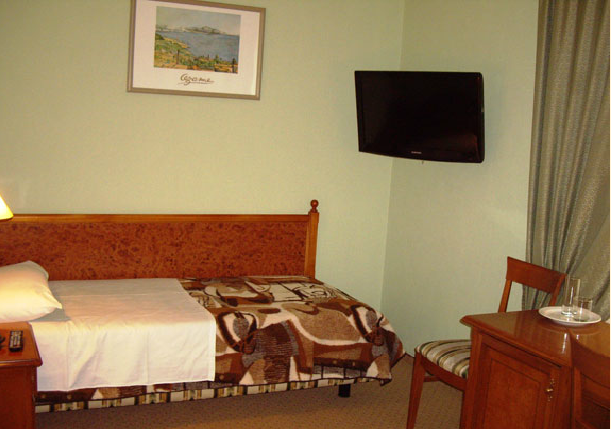 Hotel is situated in the centre of the city, 20 meters from the main street. We have: bar, sauna, and gum in the hotel. In the only room of an "Econom" category there is a single bed. 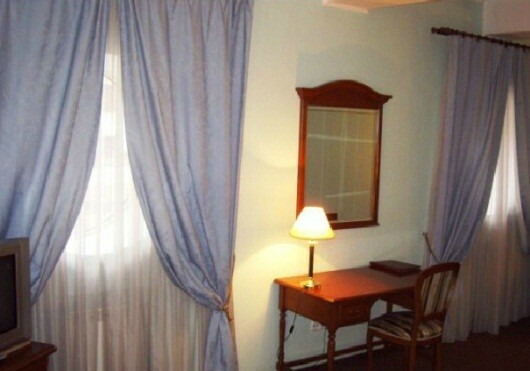 This room faces the October square and a monument to the Heroes of Great Patriotic war. The room is situated on the second floor. The area of a living room is about 9 sq. m.
In each room of a "Standard" category there is a single bed. 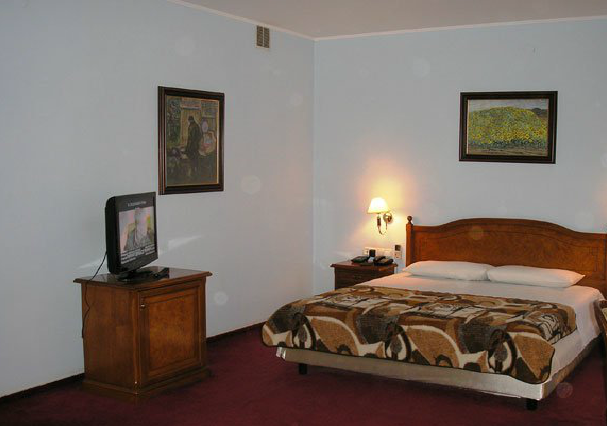 These rooms face the October square and a monument to the Heroes of Great Patriotic war. The area of a living room is about 10-12 sq. 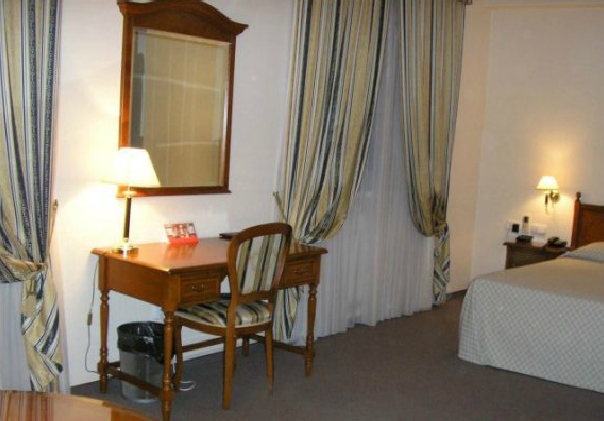 m.
The rooms of "Comfort" category are the one-room apartments with a big double bed. The area of a room is about 18-20 sq.m. Windows of almost all the "Comforts" face the October square and only two of them face the court-yard. In three of the "Comfort" – rooms there are cosy extension-sofas which can be used as an extra berth. All the four rooms of "Supercomfort" category are situated on the second floor and face the court yard. 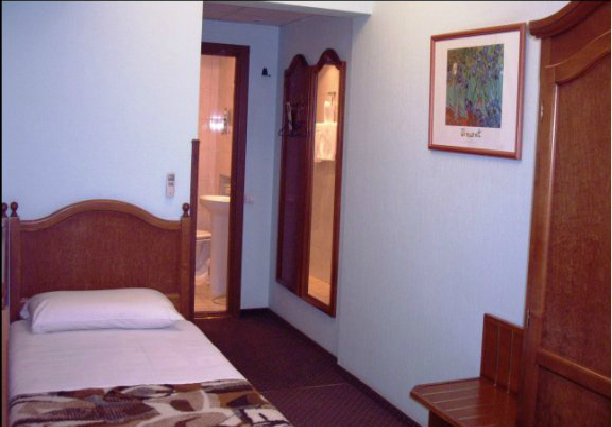 There is a double-bed in these rooms. The area of a living room is about 22-24 sq. m.
The rooms of "Lux" category are the two-rooms apartment facing the court yard, which are situated on the first floor. Besides the double-bed, in each of these rooms there is an extension-sofa. The room’s area is about 50 sq.m.